Featured Prague apartments - get the best deals! Apartments in Residence Masna offer perfect base in the Prague historical centre near the Old Town Square, in a very quiet side street. Perfectly sized apartments in the heart of Prague, suitable for short and extended stays, are waiting for you. 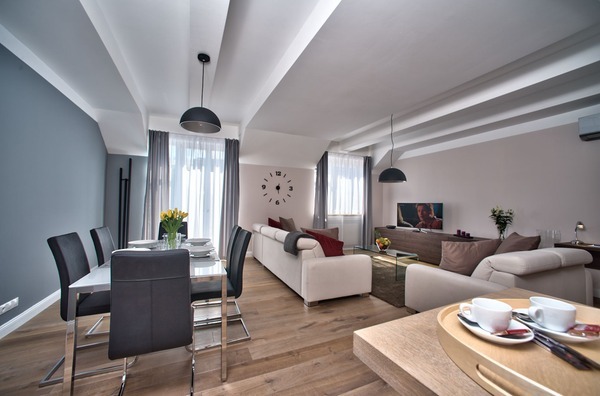 Rent these high class apartments in Prague and enjoy maximum privacy and flexibility. These Prague apartments are situated near the National Theatre right in the centre of town. Absolute tranquillity and location predetermines these apartments for extended and long- term accommodation in Prague. Become a part of Prague' s historical center for a while, try our Prague apartments in our National Theatre Apartments. We offer accommodation in Prague apartments in the perfect location of the Old Town area, close to the Charles Bridge. The apartments are situated in a quiet side street of Narodni Street, one of the most famous Prague centre boulevards. Say goodbye to Prague hotels, enjoy your stay in spacious apartments in Residence Karolina. Stay in a superb location. 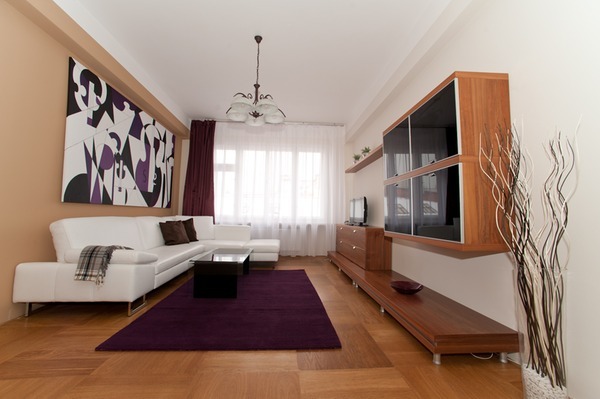 Stay in high quality apartments in Prague. Residence Brehova features wonderfully spacious one, two and three bedroom apartments equipped to meet expectations of high demanding travelers. 24/7 concierge and free Internet access comes as standard. Apartments are tastefully decorated to provide a unique combination of Art Nouveau feeling with state of the art technologies. The apartments is in the quiet surroundings of Prague St. Salvator Church, just opposite the Prague St. Salvator Church. These apartments are an ideal starting point for unforgetable walks through old Prague. The apartments are completely new equipped with modern furniture. Residence Rybna provides fully equipped apartments in a newly renovated building from the 15th century. Apartments are ideal for high demanding business travellers as well as short-term visitors. Forget the tiny rooms in the hotels of Prague, stay in our spacious apartments to discover comfortable Prague accommodation. 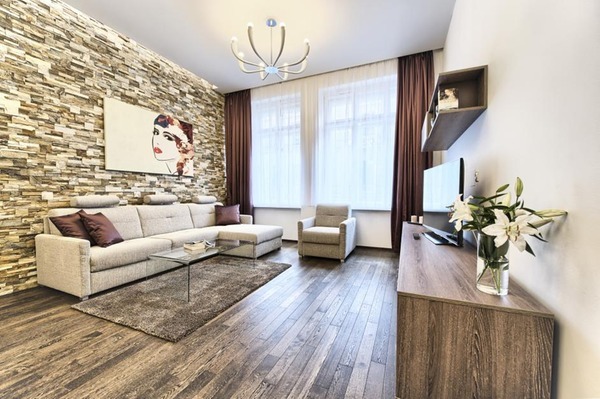 The apartments fulfill all demands for long term living in Prague with the advantage of possibility to order additional maid services, having the 24/7 management office in a building next to the door. It is very easy to feel like home here. 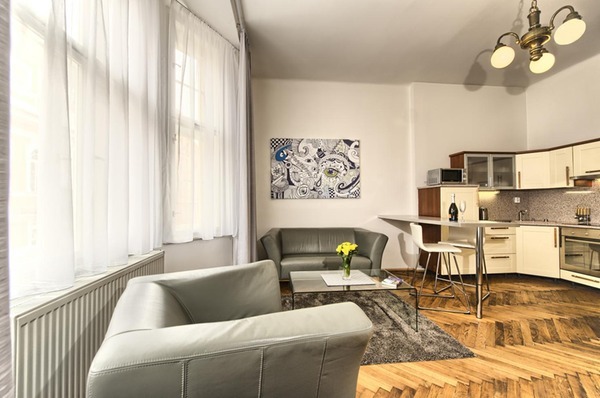 Among the most important things that will make a gorgeous vacation is a great location and Jewish Quarter with Maiselova 5 apartment in it is one of the most visited and soulful part of the historic Prague. Old Town, Charles Bridge and other major attractions are also only minutes away from the house. The apartment itself offers fully equipped kitchen, luxury and very comfortable king beds and two modern bathrooms. Sometimes space makes all the difference between luxury hotel and fully serviced apartments. That is where Konvikt apartment with its 110 square meters really stands out. Two huge bedrooms with luxury beds, each on the opposite site of a spacious living room, will make you literally feel the space that no hotel can offer. Work tables, standalone cloakroom, fully featured kitchen make this apartment a superb choice even for a long term rent. Cozy one-bedroom apartment located in the center of Jewish Town overlooking Old-New Jewish synagogue. All necessary features are at your disposal - fully equipped kitchen, comfortable double bed, modern bathroom with shower and plenty of storage space for all your belongings and souvenirs from Prague. The nice touch is a stunning view of old Jewish cemetery from the main stairwell. Without a question one of our best designed apartments. Great effort has been put to make the apartment stand out and every feature has been carefully chosen to compliment the remains of the historic architecture that can still be seen in the apartments. Kitchens and bedrooms with luxury bedding are absolutely top notch in their quality. 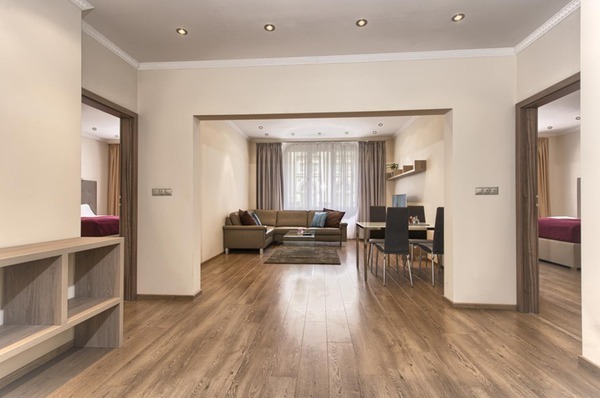 Krizovnicka is situated a minute from river bank and across the street from Four Seasons Hotel, but with price and space that makes this apartment an unbeatable choice. We think we offer the best quality/price ratio from all apartments in Prague. Apartments are available for several nights as well as for a several months, daily, weekly or monthly rates exactly fit your budget for Prague accommodation. We offer only high quality fully furnished and serviced Prague apartments. 24/7 management office is available for our guests in Prague historical centre - 24 hours a day guest service. We have the longest experience on the Prague apartments accommodation market - since 1991. Our apartments are located in prime locations within Prague historical centre. The price includes the rent and all utility costs (gas, electricity, garbage disposal etc.). The apartments are equpped with set of towels, bed linen and toiletries. You can anytime during your stay request their additional replenishment and exchange as well as complete maid service including fresh bed linen. Small charge will apply for these extra services. We provide you with high speed WI-FI or wired Internet access free of charge in all our Prague apartments. We have a variety of apartments in Prague for you, from studios/suites to the large three bedroom apartments. You can find on-line availability of all Prague apartments, easy reservation and instant confirmations. ... one bedroom 1-4 pers. ... two bedroom 1-6 pers. ... three bedroom 1-8 pers. I have always used hotels on previous trips to Prague and now wish I had considered using an apartment much sooner. The standard of the room was very good and its location was perfect for my needs. I can not find any fault with the service offered by the staff of Prague City Apartments and will not hesitate to use this company again when I next return. When we head back to Prague (and we will) we will be staying with Prague City Apartments. The location we had was perfect for our trip. As it was our honeymoon we wanted something central and small with a kitchen, WIFI and Laundry. It was perfect. We also know that if we travel back with a family or friends that Prague City Apartments will be able to take of our needs. Thanks again for everything, Garth and Christiane.